Premium Products Corp is a big name on online platforms such as Ebay, Amazon and they have huge product line that are being sold to niche markets such as some of the grilling accessories, while others like the vehicle covers have a much broader appeal. Our team were delighted to be chosen by the Premium Products Corp for their new website. 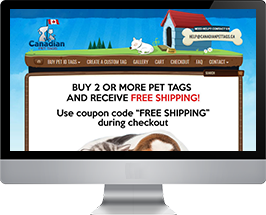 The overall motive was to craft a new website that offer a discount to customers who will purchase items from the company website by not having to pay the 10 to 15% selling commission fees to the EBay & Amazon platforms. After reviewing the Ebay & Amazon online stores of the company, we started our wireframing process to accomplish the main particular purpose of the company that was to pass some of those savings on to valued customers by direct purchasing on the company website. The live site allows customer to purchase various accessories by choosing different categories and by selecting different customized filters. The site have Paypal as primary payment gateway and also allows COD option to buy products. 1. We started our process by direct skype call with client so that we could conceptualize the whole idea of his business to start in-depth planning and research. After gathering all the requirements by the company, our team sets a meeting to create all the project milestones, time-frame & total estimation cost for client approval. 2. Next, we had reviewed some of the main competitor’s website so we can come up with some best possible outputs. Further we started designing of homepage and other inner pages of the website by using Adobe Photoshop. 3. For the development of the website, we come up with the WordPress solution and developed all the ecommerce modules including Shopping Cart System, Customer Registration and Account Management, Catalog Management, Order Management and Safe Credit Card Encryption (Secure Sockets Layer (SSL)) Integration. 4. After the development process, we did test each and every module of the website scrupulously through advance level testing phases under different testing environments to craft the best possible result.